It was with good reason that Walt Disney labelled Robert B. Sherman “The Poet”. Together with his brother Richard, Sherman was to pen Oscar winning scores for Disney movies during the studio’s golden era of animation in the 1960’s and 70’s, before then going on to create the songs for Chitty Chitty Bang Bang. That both Disney’s Mary Poppins and Chitty were to be given fresh interpretations as spectacular West End and Broadway shows, only served to see the brothers’ talents span the centuries and it is a wonder that this charming show has not been staged before. No other songwriting partnership has created so many numbers that have become fused into our psyche. Amidst a sold-out St James Studio, every member of the audience would have either sung the Shermans’ songs as children, or sung them to their own kids (or grand-children). The hard-wired familiarity created by songs such as Supercalifragilisticexpialidocious or Chitty Chitty Bang Bang has a value in Western culture that is priceless. Iconic songs demand performers of confident stature and Robert J. Sherman (the son of Robert senior) who compered the evening had assembled a cast that represented the finest of Britain’s young but accomplished musical theatre performers. Stuart Matthew Price was as assuredly excellent as ever. Singing the little known Music Of The Spheres,written by Robert J, his tone was sublime and during his take on Hushabye Mountain from Chitty, tears were flowing in the audience. 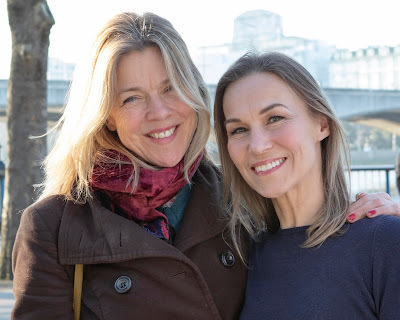 Charlotte Wakefield is another gifted actress who only last summer presented her credentials as a governess with an acclaimed Maria in The Sound Of Music. Tonight, with her performance of A Spoonful Of Sugar, one can confidently say that the position in the Banks’ household is hers. It was an enchanting cover of Julie Andrews' legendary performance and when Wakefield later sung My Own Home from The Jungle Book, the crystal clarity of her gorgeous performance could almost have suggested that the movie had been digitally re-mastered. Emma Williams, who had created the role of Chitty’s Truly Scrumptious on stage, lived up to that character’s reputation for perfection. Amongst her first half highlights, Feed The Birds from Mary Poppins was to prove another moment of tear-streaming delicacy, whilst her Chitty contributions were as fresh as when first performed at the Palladium some 12 years ago. Accompanying all, Colin Billing’s piano work was outstanding often suggesting the low-keyed elegance of a cocktail bar, whilst ramping up the tempo when required. Robert J. Sherman’s narrative through the evening was not only undoubtedly authentic, but also sincerely presented and if he stumbled occasionally, the atmosphere of the room was nothing less than warm and forgiving. With a second act that could be slightly trimmed and an encore that’s simply a treat (no spoilers here) the show is a glorious tribute to some of the USA’s finest songs of the last century. 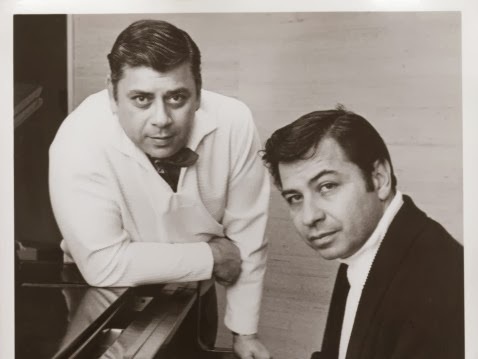 Amidst all of Broadway’s giant songwriting partnerships, none reaches out to the child within us quite like the legacy of the Sherman brothers. Cleverly crafted songs that speak of hope against adversity, written in verses that talk to every age. This show deserves to tour and when it comes to your town, don’t miss it!